The Fountain has won an honorable mention in The 2014 Eddie and Ozzie Awards. The winners were announced on December 11 at the Yale Club in New York City. Justin Pahl’s “My Brother’s Plum Tree” competed in Consumer – Single Article – Religious/Spiritual category and was awarded honorable mention. We congratulate Justin Pahl and expect him to produce many more winning titles in his writing career. 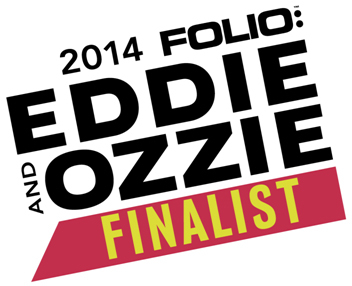 The Eddie and Ozzie is the largest awards competition in magazine publishing, garnering more than 2,000 entries and bestowing more than 140 awards. There were 2,800 entries this year.